Bandhobi is a story about the crossover between two different cultures and the friendship it can spark. 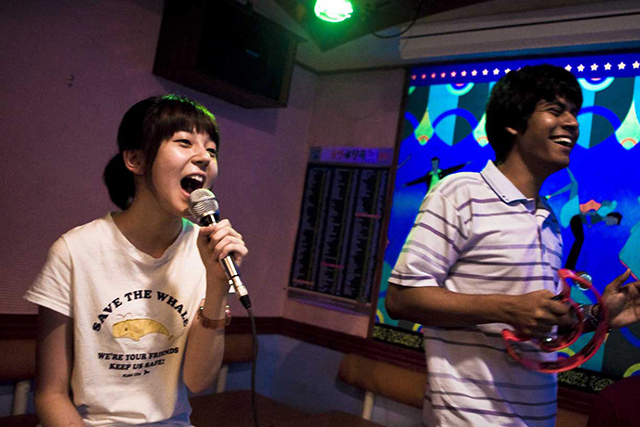 As the title suggests, “female friend” in Bengali, the film follows the evolving relationship between Min-seo, a 17-year old rebellious Korean girl, and Karim, a 29-year old Muslim migrant worker from Bangladesh. This character-driven film subtly explores many areas of importance: racism, illegal immigration, family dynamics, the education system and working conditions with great sensitivity and realism. Both characters bring distinctive critical outlooks: Min struggles with a broken relationship with her mother and an absent father while Karim is desperately trying to retrieve the unpaid wages from his employer. Both are lost souls in a society they feel disenfranchised from. Their unique friendship helps them finally address and voice the questions so quietly hidden under social conventions and ignorance.